This card offers a pre-qualification process that does not require a hard pull on your credit report. Additional perks make it easy for cardholders to focus on rebuilding and building credit, too. These include no security deposit, zero liability, and reporting to all three major credit bureaus. Credit card rates are rarely low. Right now, according to the IndexCreditCards.com rates monitor, the average for all consumer plastic is 17.20 percent APR, and 17.91 percent for rewards credit cards. Someone with balances totaling $15,000 is likely to be paying well over $2,000 a year in interest alone. Imagine such a person being offered a deal that allowed her to pay zero interest on those balances for anything between six and 18 months. She'd be mad, you might think, not to say "Yes! Yes!! Yes!!!" And you might be tempted to say, "I'll have what she's having." The offer's going to expire. If you can be sure you're going to finish paying down the debt before the introductory rate ends, you're likely to be a winner. But what happens if you still have a significant balance? Some cards' go-to (standard, or non-promotional) rates can be as high as 24.99 percent. Use credit card calculators to model different payment scenarios. Getting approved isn't necessarily easy. Various factors apply when a card company considers your application - for example, issuers generally want to see a FICO credit score some way above 700 for these products. There's often a time limit on the period after you open the account during which you can transfer balances. Make sure you observe it! Nearly all zero-percent introductory APR balance-transfer products charge a fee for transferring a balance, typically 3 percent of the amount you're transferring This is likely to make only a tiny dent in the amount you stand to save, but you should be aware of it. Although some people might consider closing an account when the introductory offer ends, opening and closing accounts doesn't do your credit score any favors. That means it's often best to pick a card that suits you in the longer term. So, now you know. Still saying "Yes! Yes!! Yes!!!?" Well, keep reading. Zero-percent introductory APR on balance transfers for a whopping 18 months (with a 3-percent balance-transfer fee). After that, a variable purchase APR applies - it's currently 10.99-22.99 percent, based on creditworthiness. You also get a zero-percent introductory APR on purchases, though only for 6 months. After that introductory period ends, variable purchase APR applies. Generous rewards, including 5-percent cash back on shopping categories that change each quarter (on up to $1,500 in purchases each quarter) when you sign up for 5 percent categories. You get 1 percent cash back on other purchases. Great customer service: Discover now ties with American Express for top spot in J.D. Power's annual survey. This card charges a $0 Intro Fee on Transfers made within 60 days of Account Opening. After that, the fee for future balance transfers is either $10 or 5 percent of the amount of each transfer, whichever is greater. Right now, this card offers a zero-percent introductory APR on purchases and balance transfer for 15 months. This card also charges a $0 annual fee. You pay a low 8 percent variable APR on amounts transferred and purchases. There are no annual fees or balance-transfer fees. You could get some rewards through Barclaycard's new Giveback program. You get a promotional rate of just 4.99 percent on balance transfers for 12 months on transfers made from now through March 31, 2016, and, after that, the APR for the unpaid balance and any new balance transfers will vary between 10.24% to 17.99%, based on your creditworthiness and will vary with the market based on the Prime Rate. This transaction is subject to credit approval. There is no annual fee, no late fee and no foreign transaction fees. There isn't even a penalty APR for late payments. It's worth noting that you must be a PenFed credit union member to apply for one of their cards, but that being a member does not guarantee approval. Like most other credit cards, balance transfer products can be excellent for careful money managers -- and disastrous for others. If you can trust yourself to use them wisely, and you have excellent credit, then by all means enjoy their benefits. 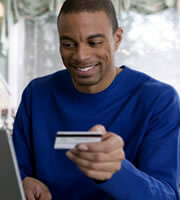 0 Responses to "The best balance transfer cards"
How much interest do I pay when I revolve my credit card balances? How much could I save with a lower interest credit card? How much do I need to pay each month to pay off my credit card? "As comprehensive a list as you'll find of all the credit card offers on the table now." How Long Until I Pay It Off?